Two small books of vivid drawings—one filled with images by the Southern Cheyenne warrior-artist Howling Wolf and the other with images by Zotom, a Kiowa man—came to the Southwest Museum of the American Indian, now part of the Autry National Center, in December 1986. The books were gifts from Leonora Curtin Paloheimo, and had been commissioned directly from the artists in 1877 by Paloheimo’s grandmother, Eva Scott Muse Fényes (1849–1930). At the time Fényes commissioned the books, Zotom and Howling Wolf were imprisoned at Fort Marion in Saint Augustine, Florida. Like some of the other Southern Plains Indian prisoners held there between mid-1875 and mid-1878, the two men created many drawings for diverse reasons. Some of the prisoners’ books of drawings, including the two that Fényes collected, were sold to people who visited the sixteenth-century Spanish fort. After Eva Scott Fényes’s death, the books went to her daughter, Leonora Muse Curtin (1879–1972), and subsequently they were passed to Leonora Curtin Paloheimo (1903–1999). More than one hundred years after their creation, the books became part of the Southwest Museum’s collections. Unlike most of the museum’s other holdings of Native American art, these two books originated with a commission by Fényes, a young woman who continued as a patron of the arts for the remainder of her life. The study of what has become known as Plains Indian ledger art—because the artists frequently used accountants’ ledger books as sources of paper—and of Fort Marion drawings in particular, has burgeoned in the last forty years. 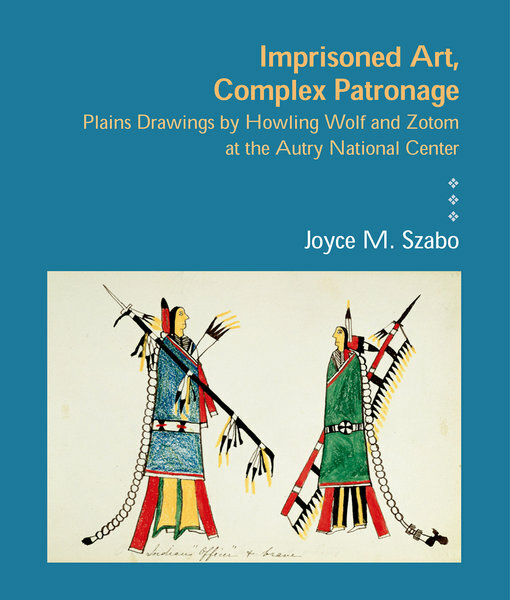 Joyce Szabo’s examination of the two drawing books by Zotom and Howling Wolf encompasses their origins and the issues surrounding their commission as well as what the images say about their creators and their collector. Szabo augments the complete reproduction of each page with detail photographs of the drawings.